Not getting enough sleep or having poor sleep habits can trigger migraines or cause occasional migraines to become frequent. Now new research may help explain the biological links between sleep and headache pain. Pain researchers from Missouri State University report that rats deprived of REM sleep showed changes in the expression of key proteins that suppress and trigger chronic pain. The sleep-deprived rats secreted high levels of proteins that arouse the nervous system and low levels of proteins that shut it down, lead researcher Paul L. Durham, PhD, tells WebMD. Durham is scheduled to report the findings this weekend at the 52nd annual meeting of the American Headache Society in Los Angeles. “In stressful situations such as sleep deprivation, these arousal proteins occur at levels that are high enough to trigger pain,” he says. In the study, Durham and colleagues deprived one group of rats of REM sleep for three consecutive nights while allowing another group to sleep normally. They found that the sleep deprivation caused increased expression of proteins p38 and PKA, which help regulate sensory response in facial nerves thought to play a key role in migraines, known as the trigeminal nerves. Lack of REM sleep also triggered increased expression of the P2X3 protein, which is linked to the initiation of chronic pain. The study was funded by drug manufacturer Merck & Co.
American Headache Society (AHS) President David Dodick, MD, says sleep disruption is one of the most important migraine triggers, yet very little is known about the molecular pathways that link sleep to headache pain. Dodick is a professor of neurology at the Mayo Clinic in Phoenix. 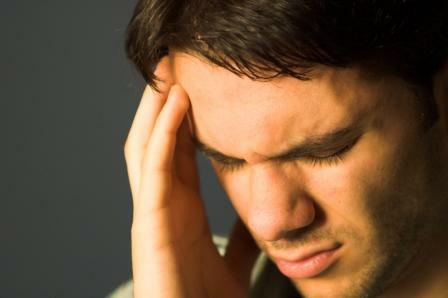 About 12% of the population, or 36 million Americans, suffer from migraine headaches, according to the AHS. Although most people with migraines have one or two attacks a month or less, about 3% of the population has chronic migraines, which occur at least 15 days each month. Dodick says understanding the molecular pathways that trigger migraines or cause occasional migraines to become chronic could lead to better drugs to treat or prevent them. Although getting enough sleep is important for people with migraines, having a sleep routine is even more critical, he says. Just as too little sleep can trigger migraine headaches, so can too much sleep at one time. The same is true for irregular afternoon naps or any disruption in the regular sleep pattern.